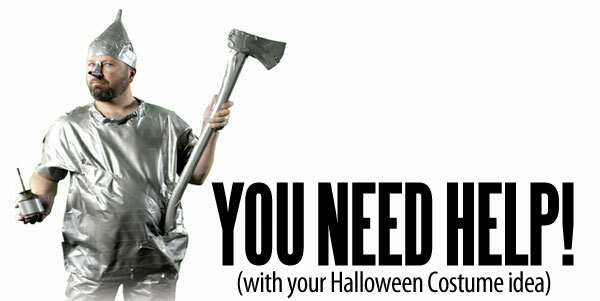 Yes, you do need help with your halloween costume ideas - and the guys (who wrote the book about halloween costumes) are here to do just that! CLICK HERE! Or, just order the book - there's a ridiculous deal going on right now - click HERE (buy our Halloween Book and a bumper sticker and get two more books and a button FREE!!! 13. Duck tape a small child or midget to your back and go as a “hunch-backed-two-headed guy.” (If you can’t locate a child or midget, decapitate a department store mannequin, duck tape its head to your shoulder, and go as “The Thing with Two Heads”). 12. Modern Metallic Mummy: cover yourself head to toe in duck tape and speak in inaudible groans. Feeling old fashioned? Go with white duck tape. 11. “Wizard of Oz” Tin Man: Simply follow the instructions for the mummy costume but don’t duck tape over your face. Instead, put a funnel on top of your head and carry around a duck tape covered oil can and axe. 10. Duck Tape Man: Use duck tape to fashion a mask and cape, cover an old pair of tights (or long johns) with duck tape for the pants, make a big duck tape “D” on the front of your shirt, and break the ice with other party goers by sticking a swatch of duck tape on everyone you meet! 9. The Human Shower: Don a raincoat, then use an old broomstick to help duck tape a Hula-Hoop over your head. Add showerhead and shower curtain to the Hula-Hoop. 5. Black pants and a black turtle neck with white duck tape “bones” makes a quick and easy skeleton costume. Or, use silver duck tape to make a “Terminator” skeleton. 4. Duck tape mirrors all over yourself. You will either look like The Invisible Man or like everyone else at the party. 2. Duck Tape Biker: Cover your pants and jacket in black Duck tape, Duck tape a set of handlebars into your hands and your “Ol’ Lady” to your back. A black or brown Duck tape toupee (complete with “duck tail” flip in the back) looks like totally greased-back biker hair. 1. (Dads of teenagers will relate to this costume idea.) Cover yourself with silver Duck tape and hang a twenty dollar bill out of your mouth. Presto! You've become the Human ATM! every year  from funny faces and scary demons to black cats and witch silhouettes, pumpkin carvers are taking this Halloween tradition to the next level. 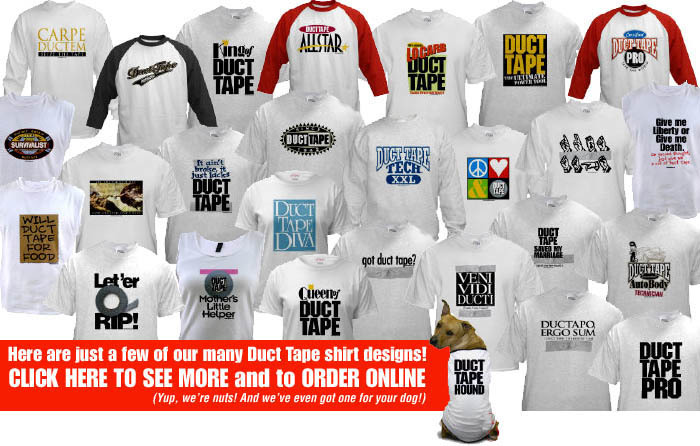 And, this year, the most creative design could earn $1,000 from the Duck® brand…if it’s made with duct tape. Duck® brand duct tape is challenging pumpkin carvers to set aside the knives and break out the duct tape in the Stick or Treat Jack-O-Lantern Contest. In years past, trick-ortreaters fashioned amazing and unique costumes out of colored Duck® tape, but this year, the Duck® brand is putting creativity to the test to see how well Halloween fanatics’ pumpkin decorating skills can fare. All they need to do is find a pumpkin (real or artificial), think of a creative pattern, design or unique face, and use duct tape to deck out their pumpkin. 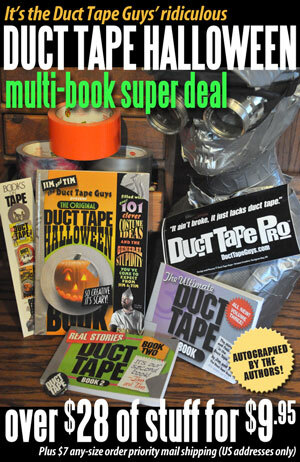 Starting on September 6, 2010, Duck® tape users will be able to enter the Stick or TreatJack-O-Lantern Contest by submitting a photograph of their duct tape jack-o-lantern via the Stick-or-Treat promotion page on www.duckbrand.com. 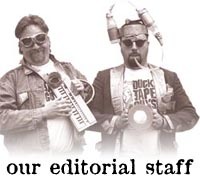 The contest ends on November 1, 2010, and all eligible entries will be judged by a panel of judges based on originality, workmanship, use of color and quantity of duct tape used. The winners of the contest will be announced on or around November 17, 2010. 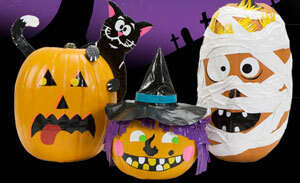 The first place winner in the Stick or Treat Jack-O-Lantern Contest will win a $1,000 cash prize. The second place winner will receive $500 and the third place winner will receive $250. So, Halloween and jack-o-lantern fanatics, step out of your comfort zones, set aside the carving tools and pick up a few rolls of colored duct tape to create your masterpiece. brand has more than 20 colors and patterns of colored duct tape including the new Totally Tie-Dye and Cosmic Tie-Dye patterns to decorate your pumpkin with this year. You’ll be the envy of the entire neighborhood and you could become $1,000 richer in the process. Halloween is an interesting holiday. When else do parents teach their kids that it's ok to disguise their identity and head out in the dark of night to extort candy using the threat of "tricks"? It's kind of like gangs of little mobsters going out saying, "Got some nice, clean windows there. It would be a shame if someone were to put soap all over them. And I noticed some trees down the street had toilet paper on them. A little candy might prevent that from happening here." Of course, not all parents take these veiled threats lying down. Some even plot terror of their own. I recall one particular year, when I was about ten or eleven. Several parents in the neighborhood each tried to outdo the other in transforming their houses into palaces of horror. Now this was not like today where all you have to do is go down to the big box store in late September, go to the aisle next to the Christmas stuff, and stock up on all the Halloween decorations you want. No, people had to make their own back then. The highlight of the houses that year had to be Ernie Kropotnik's. For nearly a month before Halloween he had his house decked out in a manner worthy of a magazine spread. 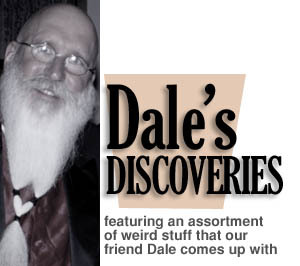 Aside from the obligatory bats, cobwebs, skulls and pumpkins, he had an actual, life size, professional quality gorilla suit stuffed with rags and sitting in a chair right by his front porch. Each day we would walk by and see that stuffed, harmless gorilla sitting there next to the plastic skeleton. So, on Halloween, kids would fearlessly stroll up to the door demonstrating their bravery to their younger siblings by punching the gorilla right in the stomach. Their bravado was short lived though when the gorilla growled, stood up and beat his chest transforming the brave ghosts, witches and pirates into a stampeding mob running for their very lives. Yes, Mr. Kropotnik was not one to be intimidated by the Halloween racket. You were going to have to really earn your bag of treats from him. After a couple of hours of this, when he was pretty sure that the massive swarm of children had died down, he went around to all the other houses in the neighborhood, still in his gorilla suit, to hear the tales from the parents of all the kids who would one day be telling their stories to child psychologists. He was very proud. For us, Halloween was about one thing and one thing only, the accumulation of as much candy as was humanly possible in the time allotted. After all, you couldn't start too early, it had to be at least dusk, and you had to be home by 9:00 PM. That was the time that someone from the school would call. If you were home to talk on the phone, you got a prize the next day. Usually it was more candy. The best tactic was to go out trick or treating with a group of kids. Going around with parents was right out. Parents spent too much time chatting with the neighbors, which cut into the valuable candy collecting time. And only real loser kids would go by themselves. But getting with the right group was key. Experience showed me that Shelly Konwerski's group was definitely the one to be in. Sweets to her were like a drug. Why, she was such a steady customer that, if she wasn't out on the street when he came by, the ice cream man would sit in his truck with the music playing knowing it was just a matter of time before he had a guaranteed sale. Shelly planned our route with all the skills of a general planning an invasion. There would be two zones. Zone One was our immediate neighborhood. Zone Two was the perimeter area. The plan was to begin with Zone Two; head as far away from the neighborhood as possible immediately and then work our way back to the edge of Zone One. She even had a map of who gave apples last year so we would know which houses to avoid. We were lucky to be under her command. We had it timed so that we would finish Zone Two at exactly 8:55 PM. At this point, we would each head back to our houses, empty our bags, wait for the phone call from the school, then meet back at the rendezvous location for the assault on Zone One. It was brilliant. So here it was, nearly 9:30, many kids' actual curfew. After this we would all return to our own abodes to begin the next phase of Halloween activities - trading candies with your siblings. As we were heading up the sidewalk to the last house on our route, we noticed a trail of candy going across the lawn and ending at a shopping bag with the bottom broken out of it. Beneath the bag, the veritable mother lode lay in a heap - the big score at last. When we asked the woman in the doorway what had happened, she told us in a very tender and sympathetic voice, "Well, poor little Fred Derf was trick or treating all by himself, when suddenly a huge gorilla came up behind him and scared him to death." Michael Corleone himself couldn't have planned that better.